Zaporozhian Sich (Zaporizka Sich). The name of several Cossack keeps on the Dnipro River that were the centers of the Zaporizhia. The first Sich was established ca 1552 by Prince Dmytro Vyshnevetsky on Mala Khortytsia Island in the Dnipro River, near present-day Zaporizhia. It was besieged and destroyed by Crimean Tatars in 1558. The new Tomakivka Sich was built 60 km to the south on a now-inundated island near present-day Marhanets. 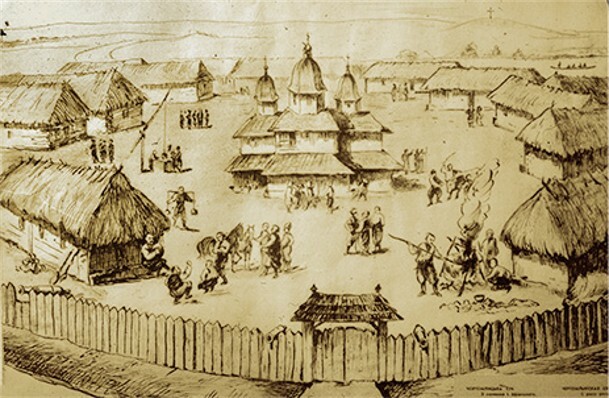 It was also razed by Tatars, in 1593, and the Bazavluk Sich was built on Bazavluk Island, now also inundated, farther south near the mouths of the Chortomlyk River and the Pidpilna River. 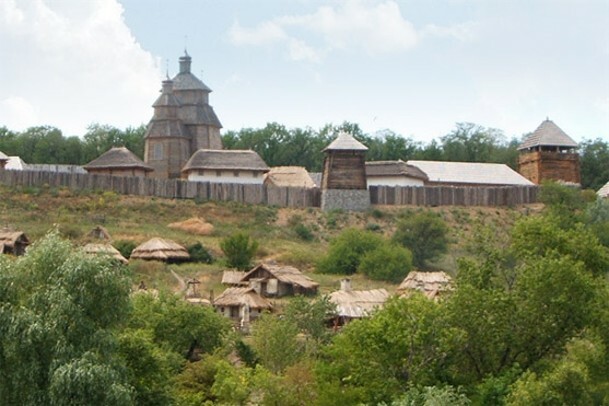 A fourth Sich was built at nearby Mykytyn Rih, the site of present-day Nikopol; it is first mentioned in 1628 and was captured by Hetman Bohdan Khmelnytsky in 1648. The Chortomlyk Sich was also built nearby, at the mouth of the Chortomlyk River, in 1652. It was destroyed by a Russian force on 25 May 1709, after Otaman Kost Hordiienko and his Zaporozhian Host allied with Hetman Ivan Mazepa and Charles XII of Sweden against Peter I. The Zaporozhians then built a Sich at the mouth of the Kamianets River, but it was destroyed in 1711. 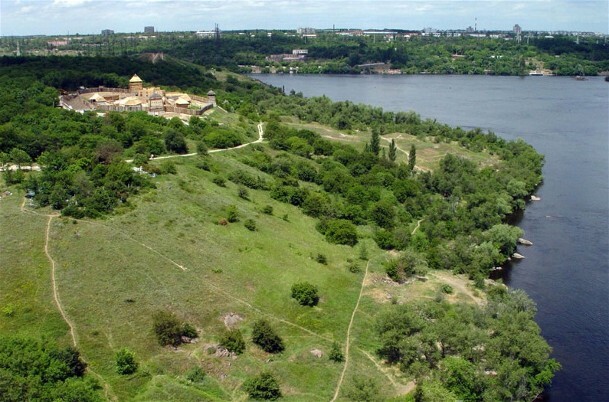 Zaporozhian Cossacks who escaped from Russian persecution to lands controlled by the Crimean Khanate built the Oleshky Sich on the lower Dnipro River in 1711. 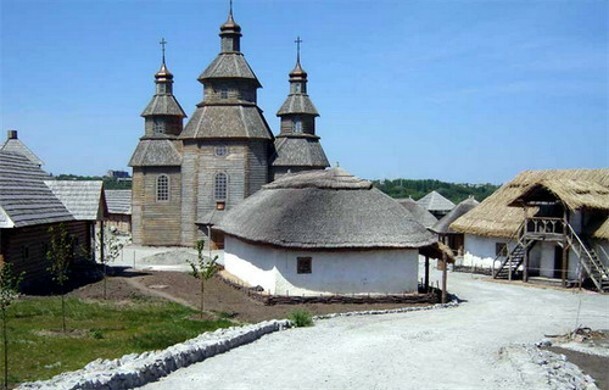 In 1734 they returned to Russian-controlled Ukraine and built the New Sich on the Pidpilna River. That last Sich was destroyed by a Russian army on 15–16 June 1775. Five of the eight Siches, including the most historically important ones, were located on or near floodplains of the Dnipro River. All of them were protected by ramparts topped by a palisade with towers and openings for cannons. Inside was a square bounded by the barracklike Cossacks' quarters (see Kurin). A church, a school, officers' residences, and other administrative and military buildings stood in the middle of the square. The church and its clergymen were under the authority of the archimandrite of Kyiv's Mezhyhiria Transfiguration Monastery. The area in front of the church was the center of social and political life and the place where the Sich councils (see Sich Council) were held. A bazaar situated outside the ramparts attracted Zaporozhian traders and merchants from other parts of Ukraine, Poland, and Russia. The kish, or garrison, at the Sich numbered in the thousands, at times even tens of thousands. A referral to this page is found in 96 entries.